ชุดทดสอบคาร์บอเนต ฮาร์ดเนส 2 (1drop=18 ppm.) 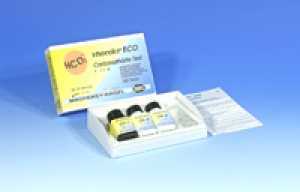 | All Test Kit by Higher Enterprises Co.,Ltd. Carbonate hardness is that portion of calcium and magnesium ions which are present as carbonate or hydrogen carbonate.